Typical fliers wince at today’s sky-high airfares — but traveling parents, who must mentally multiply plane ticket prices by the number of kids in their clan, are in an especially tough spot. There are no special kids’ rates for plane tickets (other than that “free seat” for very young children, also known as mom or dad’s lap). Plus, most families take vacations during peak travel periods like spring break, when the kids are out of school and when, unfortunately, the airlines like to drive up the cost of flights. All in all, buying a handful of plane tickets for a family vacation can feel like skyway robbery. 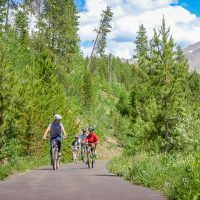 But if you try the following tips the next time you’re booking airfare, you might just snap up some deliciously cheap tickets for your family — leaving plenty of leftover cash for memory-making excursions or an extra day of travel. Aggregator sites like Kayak.com or SideStep.com, which search multiple airlines and display various fares on one page, are a great place to start your search for cheap airfare. But it’s important not to start and end your search on an aggregator site. For busy parents, it may be tempting to book the first fare that looks like a pretty good price and move on — but one-stop-shopping is not the best idea when it comes to booking a flight. Every airline does not show up in the results on aggregator sites. You won’t find fares for discount airlines like JetBlue or Southwest on Kayak.com. So when searching for the most affordable flight, your best bet is to do a thorough search on a multitude of Web sites, from airline Web sites (more on that below) to travel booking sites like Expedia.com to airfare aggregators; yes, this will take some time. But when you’re buying plane tickets for a family of five, even an extra $20 or $30 per seat can add up to a significant chunk of change. Once you’ve decided where you’d like to spend your vacation, take a quick look at your destinations’ visitors’ bureau Web site; this is the “official” page for the city, country, island, state or resort town (London’s, for example, is www.VisitLondon.com) — and it’s a fantastic place to find all kinds of destination-specific travel deals, including discounts on airfare. Want proof? The Bahama Out Islands Promotion Board Web site typically features an airline sale from Nassau to the Bahamian Out Islands, such as BOGO deals. Say you’re flying from Chicago to Hawaii. You’ll want to stop by the sites of all the airlines that fly from the Windy City to the Aloha State. There could be some money-saving deals lurking on one of the airlines’ Web sites like a “kids fly free” promotion or discounted fares on a particular route. You have bags, your kids have bags, your kids’ bags have bags. And thanks to the airlines industry’s epidemic of baggage fees, checking a handful of suitcases can get very, very expensive. But there are some things you can do — other than convincing your 5-year-old to leave her spare suitcase stuffed with princess dresses at home — to avoid the airlines’ hefty baggage fees. Consider flying on a domestic discount airline, like JetBlue or Southwest, which allows passengers to check one or two bags for free. Join a frequent flyer program (more on that below), many of which include baggage fee discounts or waivers for select members. Finally, research your airline’s baggage fee policy before you book. If you know exactly how much your flight is going to cost — baggage fees and all — you’ll be more capable of selecting the cheapest fare possible. For more ideas on ways to save on baggage fees, see 10 Ways to Save on Baggage Fees. If you fly to Florida twice a year to visit the grandparents with the kids, join a frequent flyer program, and sign the kids up as well. Unfortunately, you can’t earn miles from the tickets you purchased for your youngsters — but the kiddies can. Airline frequent flier programs don’t have age limits for members, and after enough trips, your family could earn sufficient miles for a free flight to grandma’s. Booking early isn’t always the best way to snag the cheapest fare. However, for families flying during peak travel periods, it is. Due to school schedules, most families find themselves hitting the road on high-volume travel days, the times of year when discounted last-minute fares are few and far between. During spring break, summer vacation, the Christmas holiday season and three-day weekends like Memorial Day or President’s Day, airfare prices rise — especially in the weeks leading up to the holidays. But by booking well in advance (we’re talking more than a month ahead of time), families have a better chance of snatching up the cheapest tickets. If you did book your tickets early, and you’re worried that prices may still go down, keep in mind that your airline might refund the difference if fares dip below what you initially shelled out. This may not work every time, as airline policies vary. But it doesn’t hurt to call your airline and simply ask. Weekend air travel is almost always more expensive than weekday air travel. 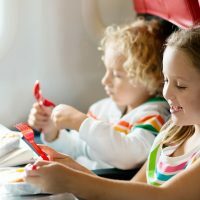 Parents should expect to pay more for flights departing on weekend days, especially Fridays and Saturdays, which, unfortunately, are some of the most convenient travel days for parents with school-age kids. 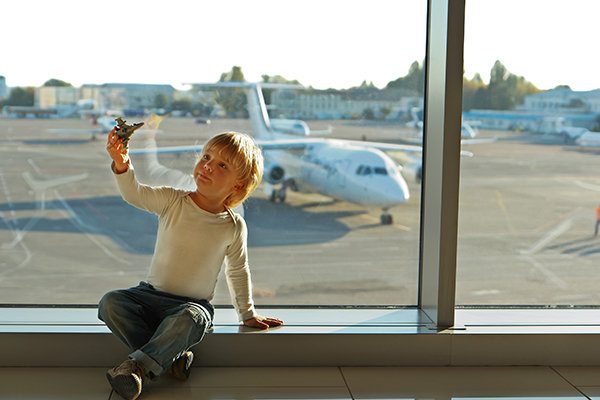 If your youngsters are in preschool or on summer break, take advantage of lower fares by booking flights for weekday travel. Of course, you could always pull your kids out of school to save money by traveling during the week; but that strategy is not for everyone. Read more in Taking Your Kids Out of School to Travel. For domestic flights, Tuesday is generally the best day to book a flight. This is because many airlines release fare sales on Monday night. Once an airline slashes prices on routes, competing airlines tend to follow suit, and what results is a “fare war,” a rash of sales that typically pop up on Tuesday. The fare sales tend to last a few days, but since discounted seats fill up fast (especially on popular routes), we recommend booking as soon as possible, as they could be gone by Wednesday.